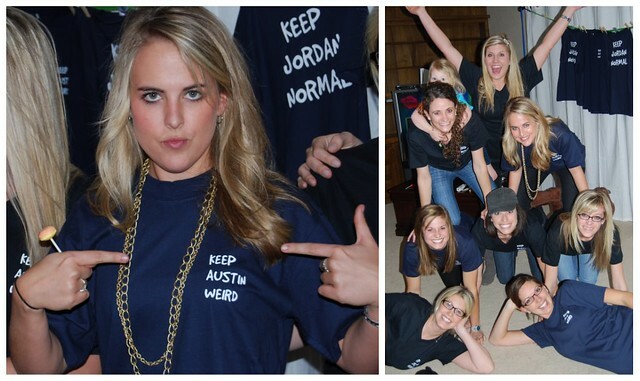 Our sweet friend Jordan is moving to Austin next week. 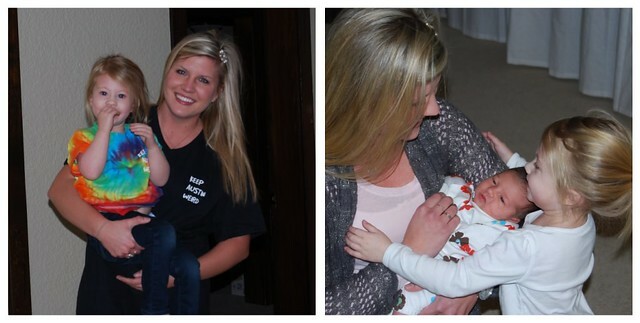 We will miss her so much, especially Ella. We had a little dessert good-bye party to send her off. Brittany and I made shirts in honor of Jordan. 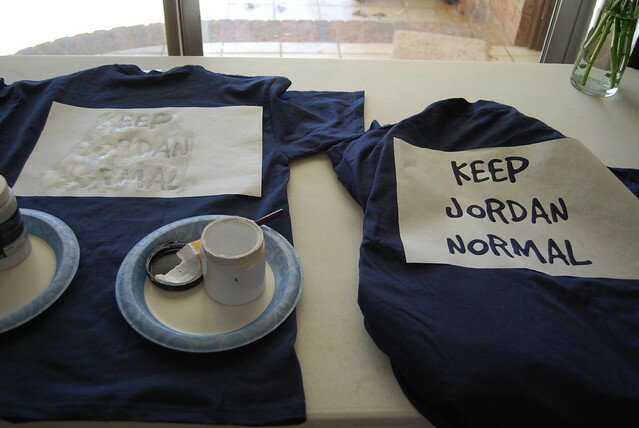 Bob had the genius idea to put KEEP JORDAN NORMAL on the back. 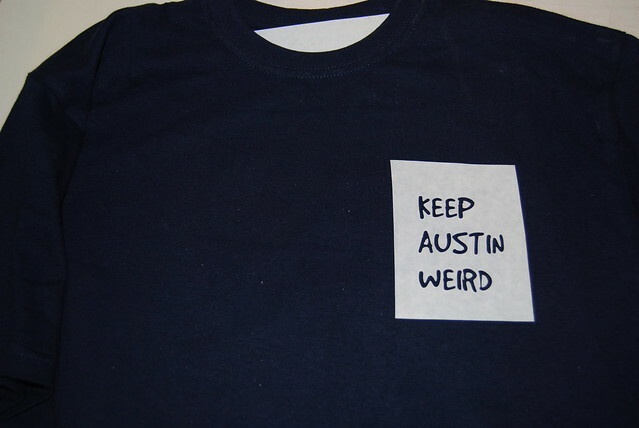 A little spin off from the KEEP AUSTIN WEIRD shirts. This was my first time to use my silhouette and I love it! 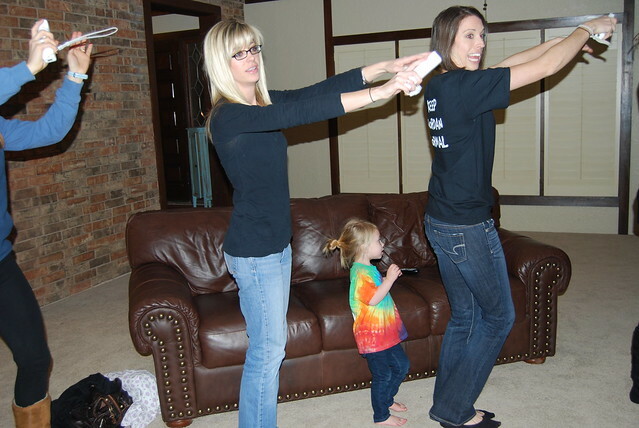 It was such a fun night with friends, just dance on the wii, pyramids, desserts and a little private concert from the fabulous Caleb Jude Green. We love you so much Jordan and can't wait to come visit! you always have such fun shirts!! hello! i came across your blog while looking at ideas for my daughters "tiny party". i love the shrinky dink craft! i was just wondering how you ordered it (which package) and what you can use to color on the shrinky dink paper itself? thanks and sorry if this seems like a crazy question!! 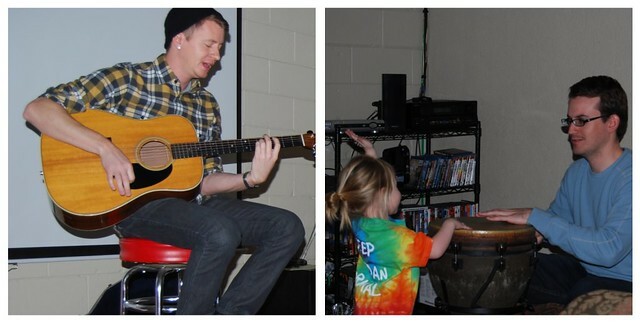 : ) loved her party! allison! those shirts are hilarious!! yall are too cute. ALLISON! I want to BE you. (Don't get creeped out, I promise I'm not crazy, ha!)... you are amazing! This Silhouette, I think I am in love and I don't even know what it is. Can you tell me how you're using it for screen printing? I mean, when you're not doing anything... like taking care of a toddler, a newborn, a hubby, yourself... oh and crafting it up like a superhero?! ha!